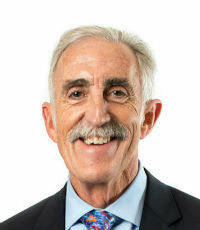 In 1976, Doug Ball began his insurance career as an underwriter for Fireman’s Fund in Salt Lake City. He later joined the agency business in 1980, specializing in the construction industry. A lifelong learner, Ball received his bachelor’s from Boise State University and has also acquired CPCU, AAI and CRIS designations. Outside of the office, Ball has served on numerous company advisory boards and was previously director of the IIABA and an officer of the IIABI. He has a passion for biking and running, completing 22 marathons and countless half marathons in his lifetime.